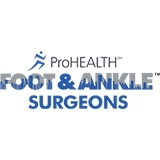 Gramercy Park Podiatry A Division of ProHEALTH (New York) - Book Appointment Online! Dr Horn . Is wonderful, caring, excellent doctor. The entire experience was excellent. Thank you Dr. Dini for being so prompt and knowledgeable. She was great! I had a simple problem that I had felt a little silly about going to see someone about, but she has made me feel SO MUCH better (well my foot at least!!). She also didn't just assume it was a totally simple problem and took an x-ray to make sure her assessment was accurate before treatment. Overall, good experience. Excellent listener and great bedside manners! I didn’t feel rushed at all, she asked good questions to help her evaluate my personal situation. She has good forethought and offered different options of treatment. Really appreciate how she dealt with me and would definitely visit again! !